So my previous movie review on Step Up: All In came with an unexpected surprise. I was selected as the winner of Nuffnang's Step Up: All In review contest! Yay! And my prize was VIP seating to any Nuffnang movie premiere screening of my choice as well as a Guardians of the Galaxy notebook and a Groot toy that had Senri and Elie squabbling over it. 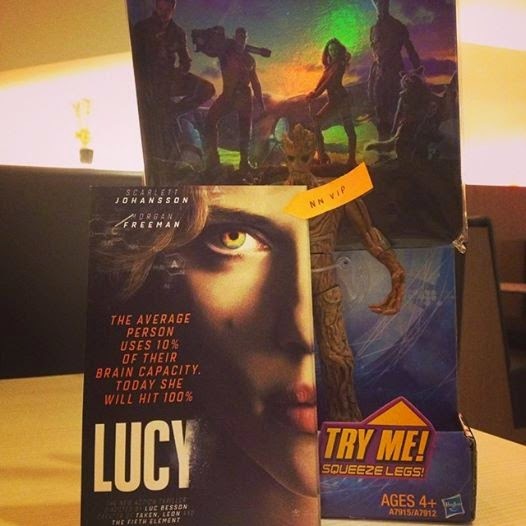 My movie of choice was the highly anticipated Scarlett Johansson movie, Black Widow: The Origin Lucy. 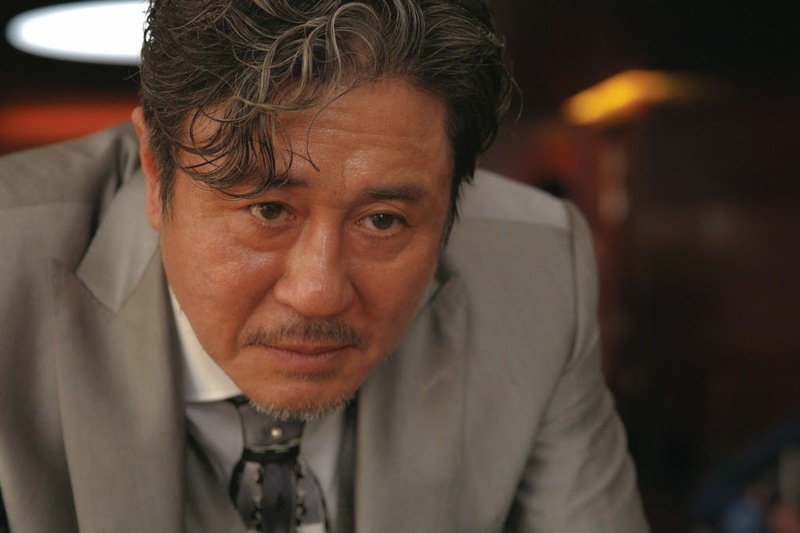 The trailer looked awesome and myself, Isabel, Senri and Elie had it on our must-watch list. So come premiere screening night, we tucked ourselves in at GSC Hall 6 for a rollercoaster ride. Lucy is an American woman living and studying in Taipei, Taiwan. She is tricked into working as a drug mule by her new boyfriend, whose employer is a Korean mob boss and drug lord named Mr. Jang. Lucy delivers a briefcase to Mr. Jang containing a highly valuable synthetic drug called CPH4. Lucy is captured and a bag of the drug is forcibly sewn into Lucy's abdomen. While in captivity, her captors kicks her in the stomach, breaking the bag and releasing a large quantity of the drug into her system. As a result, she begins acquiring increasingly powerful and enhanced physical and mental capabilities, telepathy, telekinesis and mental time travel, in addition to other abilities as her brain progresses to reach 100%. 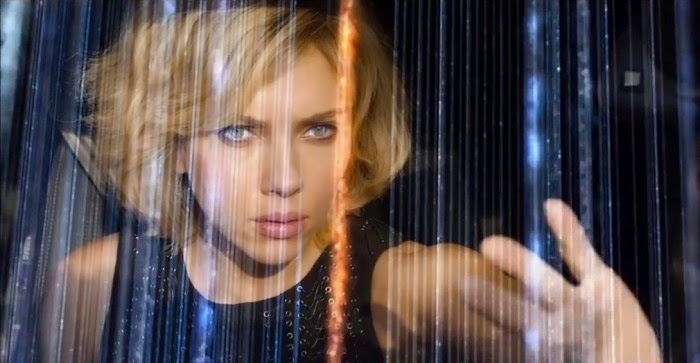 Lucy was not the typical normal-girl-turned-superpowered plot. Based on the theory that humans only use 10% of our brains, it explores the possibility of what happens if our brains were to reach 100% and the possibilities of what can happen at each stage. Scarlett is an amazing actress and for someone whom I was more used to seeing as strong and tough (Black Widow), she pulled off helpless quite believably. Sadly that was where her acting ended because as her brain capacity increased, it required less acting on her part. The directors could have replaced her with a robot and we wouldn't know the difference. I wished there had been more of a conflict of her loosing her humanity versus her growing powers and knowledge. There was one scene I supposed could count as that but it could have been explored more and would have given us more character development as to who Lucy was and is becoming. Lucy over 50% became so superpowered that it became hard to relate to her anymore. I did find the way the movie was shot a change from other movies I have seen. There were cuts of the animal kingdom, entwined with the storyline, a notion that humans too are surviving in our own animal kingdom. 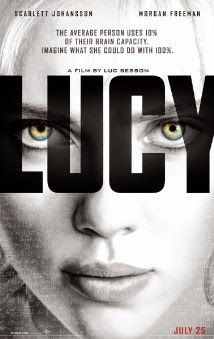 Significant points of the movie are punctuated with flashes of Lucy's brain development in percentages.I did feel it was not necessary to zoom in and out on a person's face just to capture the intensity of the moment. Overall the movie is fast pace, doesn't hold back on its action and bra-scenes (I am sorry, it's hard not to notice okay) and all over in an hour and a half. Watching it made me not want to reach my brain's full capacity because those last sequences was a total rollercoaster. Sometimes it's just better to be dumb and oblivious.